LEGO has announced plans for 32 new LEGO Star Wars sets -- and for those of you with children obsessed with both LEGOs and Star Wars, that can only mean one thing: we know exactly what will be on your child's wish lists and piggy bank plans for the foreseeable future. For those not in the Star Wars know, the next movie in the series will be released in late 2015, so these LEGO sets will likely win over a whole new legion of young fans as well as sustain those who have already planned for an out-of-this-world movie day in December. In addition to sets and figurines from the six previous movies, these Star Wars sets also feature characters and creations from Star Wars video games and the popular animated show, Star Wars Rebels. Among the 32 sets are impressive and huge sets such as the Slave 1 (with over 1,600 pieces) as well as smaller and much more affordable building creations like speeder bikes and microfighters. And not to overwhelm you or your little one, but these plans just cover the first half of 2015 — come July, we’re betting on even more sets to capitalize on the Star Wars hype. LEGO also released a new A-Zs of the Star Wars universe poster that’s sure to awaken the force (or at least the desire to purchase) in any young Jedi or Sith. 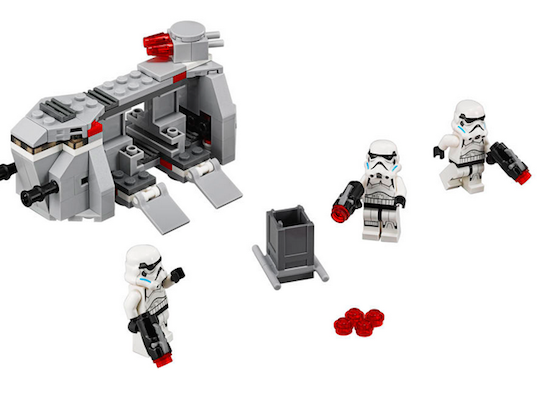 Head on over to the LEGO Star Wars site for more stellar eye candy. In addition to sets and figurines from the six previous movies, these Star Wars sets also feature characters and creations from Star Wars video games and the popular animated show, Star Wars Rebels. 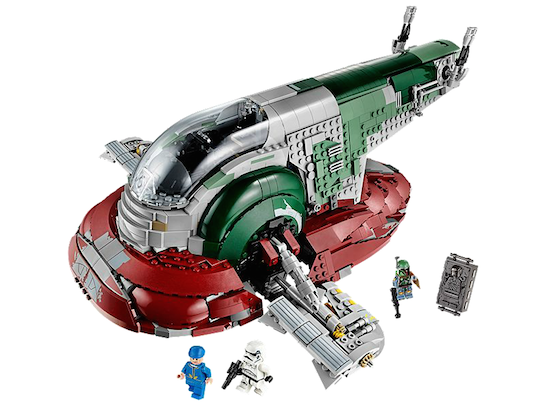 Among the 32 sets are impressive and huge offerings such as the Slave 1 (with over 1,600 pieces) as well as smaller and much more affordable building creations like speeder bikes and microfighters. And not to overwhelm you or your little one, but these plans just cover the first half of 2015; come July, we're betting on even more sets to capitalize on the Star Wars hype. LEGO also released a new A-Zs of the Star Wars universe poster that's sure to awaken the force (or at least the desire to purchase) in any young Jedi or Sith. Head on over to the LEGO Star Wars site for more stellar eye candy.